Tim Berners-Lee – the man commonly known as the inventor of the World Wide Web – says that consumers should say no to initiatives such as Free Basics (formerly Internet.org), and added that if something that is being offered in the name of the Internet and isn’t the full Internet, then it’s not really free and public. In a report published in The Guardian, Berners-Lee was speaking about the importance of privacy and the dangers of government snooping, before moving on to talk about attempts to offer access to cut-down versions of the Web, to which he says customers should “just say no”. This was part of his statement on dangers of government snooping, speaking at the the 800th anniversary of the signing of Magna Carta. 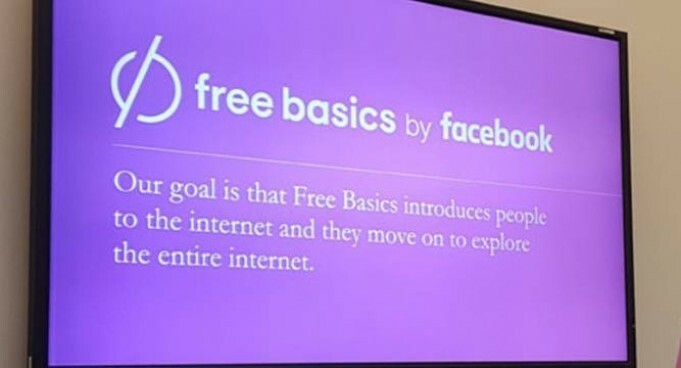 While Facebook’s CEO Mark Zuckerberg had appeared to be a net neutrality supporter, he has pitched his Internet.Org, as critical to getting India online.Free Basics, as the name suggests, offers free access to Reliance users to some applications and websites (including Facebook) to India’s poorest. However, it does so at the cost of creating a precedent that Internet access can be twisted and remodeled based on how a company sees it. Since India has not formally established a stance on net neutrality, this can be a milestone for companies like Airtel, which can in the future “break the internet” – by offering people products like Whatsapp packs, YouTube packs and email packs, without letting them freely use the data they’ve paid for. “There is this big struggle, debate in India now on how you balance these two things and this is an incredibly important debate because India is the country in the world with the most unconnected people,” — had had said.